The yo-yo’ing on Iranian sanctions by the US over the last few years has led to substantial confusion amongst clients with Iranian business interests. The wide ranging US sanctions of 2013 were lifted in part in 2016 only to be reimposed on 4 November 2018. Who knows what may happen in the future? Meanwhile, we have had an interesting decision from Teare J in a case called Mamancochet Mining v Aegis Managing Agency  EWHC 2643 (Comm). This case highlighted how important it is to carefully check the wording of the sanctions clause. Here the sanctions clause was in a cargo insurance policy. The policy covered goods shipped from Russia to Iran in 2012. It was common ground that the goods were lost due to an insured peril – theft. However, it was said the the fact that the consignee was an Iranian national meant that payment could expose the insurer to the risk of being in breach of sanctions. In fact the policy provided “to the extent that … payment of such claim … would expose that insurer to any sanction, prohibition or restriction under … the trade or economic sanctions, laws, or regulations…” then the insurer could avoid making payment. The key issue in the case was whether the insurer could refuse to pay out on the ground that payment would ‘expose’ it to US and/or EU sanctions within the meaning of the policy clause. Teare J’s view was that there was a difference between being exposed to a sanction and being exposed to the risk of a sanction. In other words it was for the insurer to prove that a sanction would definitely have been applied had payment been made. It was not sufficient to show that the regulatory agency in question might conclude that there was prohibited conduct (when in law there was not or may not be) and so impose a sanction. 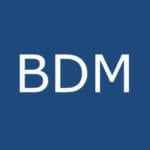 BDM is a specialist shipping law firm offering high quality legal advice and representation at a reasonable price. Please follow us on social media by clicking below.